John Green, our beloved patron saint of stirring young adult fiction, is a voracious reader. I don’t understand how the man has time for anything, let alone the thousands of books that occupy his home library. I remember being a Vlogbrothers viewer back in the late 2000s and watching the many bookshelf tour videos he would make and marveling at how any one person could be so well and widely read. This list is a small sampling of favorites from the shelves of New York Times bestselling author John Green. This book, about the ever-pressing threat of climate change-derived mass destruction, is nonfiction, yet it has been said to read like a thriller. Green describes it as such, and goes on to say that “it is a thriller in which the hero in peril is us.” The Water Will Come details what will happen when the world is inevitably flooded due to the melting of the world’s Arctic and Antarctic ice. John Green is married to Sarah Urist Green, an art museum curator and host of The Art Assignment. With Sarah’s influence, John Green has quite the collection of literature about art, including this book. Volatile Bodies, which is an examination of the body in art, and argues that the “sexually specific body” is merely a human cultural construction. Green says that this is his favorite art history book. John Green recommends this book “if you’re a Looking for Alaska fan who mostly liked the boarding school-y parts.” The book tells the story of Frankie Landau-Banks, a high school sophomore attending a high-brow boarding school academy in Massachusetts. 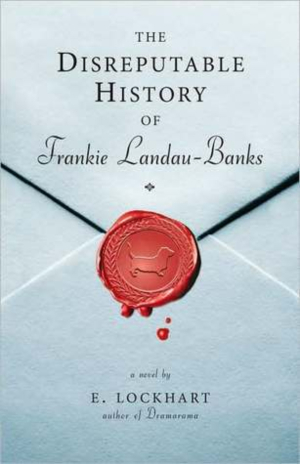 The plot concerns Frankie’s exploits in dating, friendship, and infiltrating secret societies.